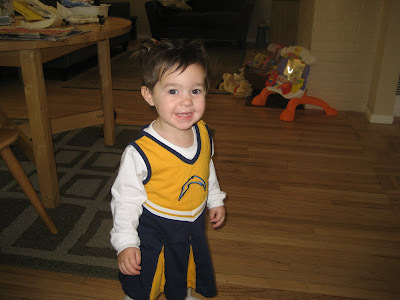 The Charger win...and my cute little Charger Cheerleader in pigtails. Gracie sleeping in a big girl bed! She's doing great...although she doesn't stay straight all night and we usually have to help her adjust, but she'll learn. 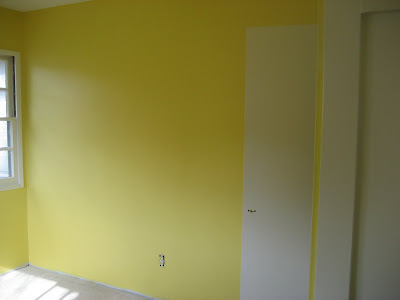 The girls' room in our new house!! I found fabulous bunkbeds on craigslist and I can't wait to see them set up. And yes, if you're wondering, that is a pacifier next to Gracie and yes, I did intend to wean her from it in December. No, it didn't happen. I didn't even try. I'm sure it wouldn't have been that bad, but I just don't have the mental energy for it right now. All my mental energy is going towards just being a mom and a wife, my job, moving and cooking the bun in my oven. I think that's plenty! I figure it can't hurt to keep the binky in place through the move and new baby and by the time Gracie's 2nd birthday rolls around in April, we'll deal with the binky. I'm looking forward to this week because life should get back to some semblance of normal--at least in work and life schedules. We'll still be moving, finishing up the house and getting ready for the baby. HA. Did I say normal?? That transition is fun and interesting! 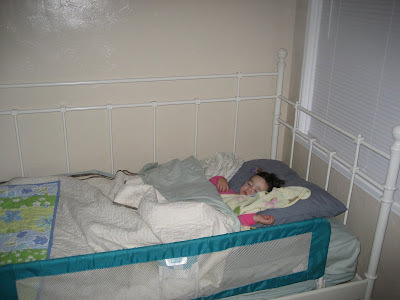 When Sophia was about to be born we ended up having to put Em in the pack-n-play she wasn't ready to not be a baby. I'm all for the binkie, one less thing to deal with at this very moment.